The last of three special forums, marking the 40th anniversary of the reform and opening-up, was held in Beijing on Tuesday. At the forum, senior Party and military officials introduced the latest development in disciplinary, supervisory, organization, publicity, judicial and military reforms. The forum was broadcast live online, and the officials responded to questions posted by viewers. 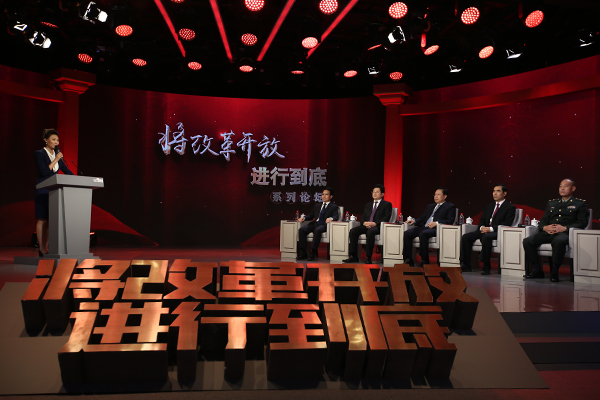 The first two forums were held on Oct. 25 and Nov. 6, with government officials introducing the latest changes in various areas such as foreign affairs, education, science, environmental protection and rural development. China is unfurling celebration events for the 40th anniversary of the reform and opening-up. A major exhibition opened in Beijing on Tuesday with around 1,000 people attending the opening ceremony.